The quality of your lawn plays a large role in your home’s curb appeal. A brown and patchy lawn is often one of the first things guests and neighbours will notice about your home. 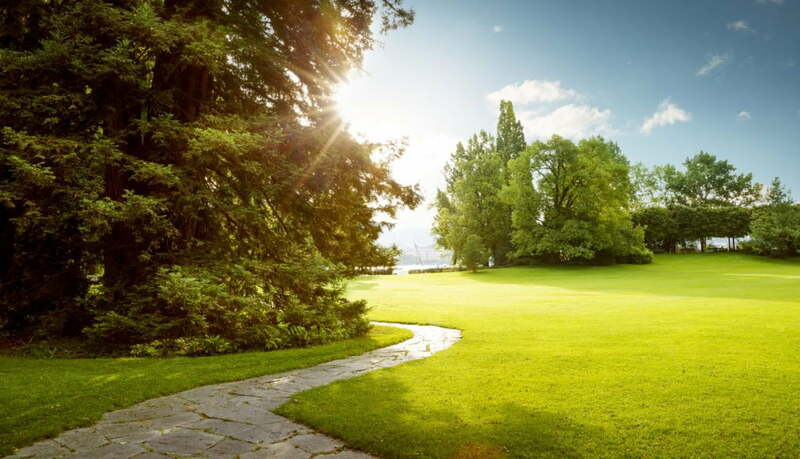 The good news is that it’s simple to perform lawn repair in Burlington for a damaged lawn. Drought – lack of rainfall and extensive amounts of exposure to the hot sun can cause your grass to become brown and crunchy. Disease – sometimes, no matter how well you take care of your lawn, it can be negatively impacted by a disease that quickly takes over and causes blades of grass to shrivel and thin. Soil – when soil becomes too compacted it can reduce the ability of the turf’s roots to reach the nutrients and water that they need. Aerating a lawn is one of the most effective ways to repair it. By puncturing the ground with small holes, the grass is able to receive more water and nutrients, resulting in better growth and visual appeal. If your lawn is becoming patchy and thin, it may simply be in need of some seeding to fill in the thin areas. Weed-A-Way provides a Seed & Feed service that sprinkles a blend of seeds, fertilizers, bonding agents and water onto your lawn so that you can see visible, positive changes to your lawn within 45 days! Nobody enjoys weeding, especially an area as large as a lawn. This is why we offer a weed control service that is both cost effective and environmentally safe. Removing weeds will provide your lawn more room to flourish and more nutrients for better health. Sometimes a professional treatment is needed to get rid of pesky insects like grubs. We use natural products to remove unwanted bugs from your grass in order to restore it to its healthy state. It is important to act quickly if you suspect the quality of your lawn is being compromised by bugs before they have time to do too much irreversible damage. Looking for professional, top quality assistance with your lawn repair in Burlington this season? Contact the experts at Weed-A-Way today. There’s still time to get your lawn in good shape so you can enjoy the features of a lush yard this summer! Call 905-858-3100 for a FREE quote today!